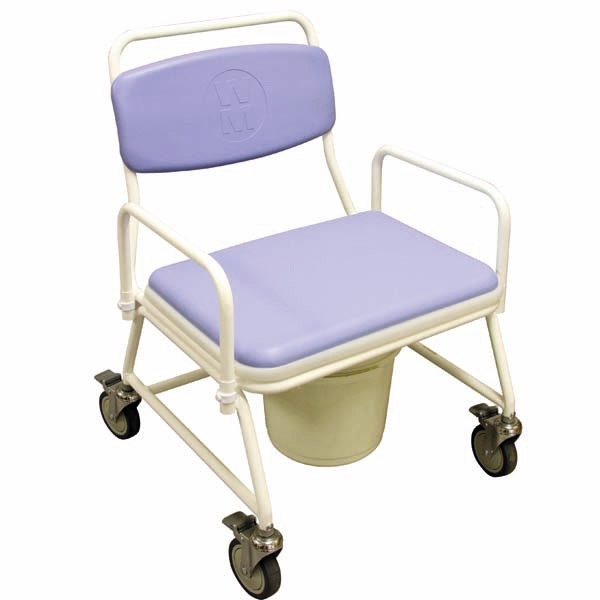 The Birstall Bariatric Mobile Commode was developed with a larger seat width and weight capacity required to accommodate the larger user. 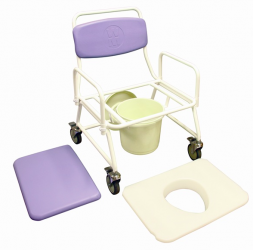 Designed to provide a toiling facility for larger users when restricted mobility prevents access to the toilet. Four 13cm (15”) castors allow carers to manoeuvre and position the commode close to users for easier transfers. Extra wide seat and extremely robust dip-coated Duradip (non-peel), anti corrosive all welded frame. Clip on/off moulded seat is sturdy and easy to clean. Flame retardant polyurethane backrest and overseas is easy to clean, waterproof and comfortable. Sturdy 14 litre pan and lid can be effortlessly removed for emptying and lid prevents spills and helps to contain odours.